I teamed up with a few of my blogger friends to make some Harry Potter goodies. 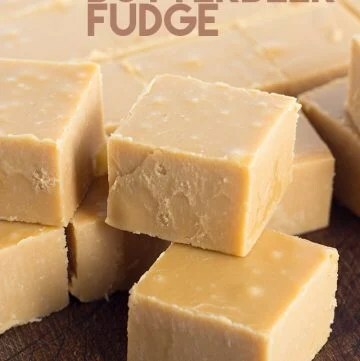 I thought I would try my hand at making some of Harry Potter’s butterbeer fudge. It came out pretty darn AMAZING. It has the flavor of butter rum and butterscotch. It’s incredibly silky too. You should probably give this recipe a try and share it with everyone. I’ve always been a huge fan of a butter rum flavor. My mama used to make rock candy every year at Christmas time and my favorite was always.. you guessed it!! butter rum. It’s not an intense real rum flavor where you think you might be intoxicated after eating a piece. It’s a smooth, heavenly flavor. I’m probably slightly biased being that I have a real love for it, but yeah. Harry Potter knows what’s up. I would have everything butterbeer flavored if it were up to me. I’ve been a big fan of Harry Potter from the very beginning. I’ve bought the books, watched the movies and loved Daniel Radcliffe through his rapping Blackalicious’ “Alphabet Aerobics.” Man, if you haven’t watched that, you probably should because Harry Potter can do some rapping. 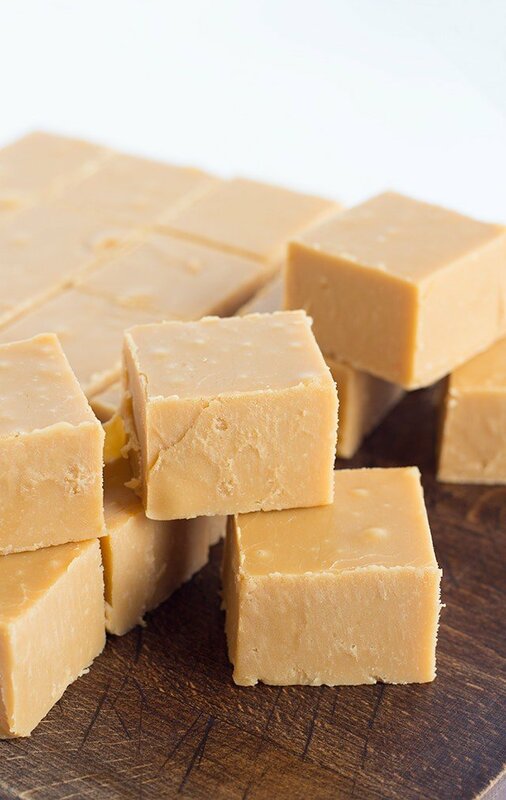 Harry Potter's butterbeer fudge is packed full of butterscotch chips and rum flavoring. It has a crumbly texture, just how I like it! Harry Potter fans will love for you making this. Prepare an 8x8 pan by lining it with tin foil and spraying with non-stick cooking spray. In a saucepan, add in the butter, half and half, marshmallow cream, granulated and brown sugars. Stir to combine. Place over medium heat and stir constantly. Once the mixture comes up to a boil. let boil for 5 minutes. Don't mistaken the air pockets from mixing for boiling. Once the mixture has boiled for 5 minutes, remove from the heat and add in the extracts and butterscotch chips. Mix until the chips are completely melted. Place in the fridge and let chill. Cut and serve. For a softer fudge, add the marshmallow cream after the mixture has boiled for 5 minutes. Half and half is equal parts whole milk and light cream. It's also known as half cream in the United Kingdom. Am I being a bit dull or what is half and half please? It’s referred to half cream in the United Kingdom from what I read. It’s equal parts of whole milk and cream. I hope that helps! What a fun treat! I love me some fudge! Awesome! Better than the fudge you get at the Nj shore! Sounds like such a tasty recipe, and I’m sure Harry Potter fans will love! 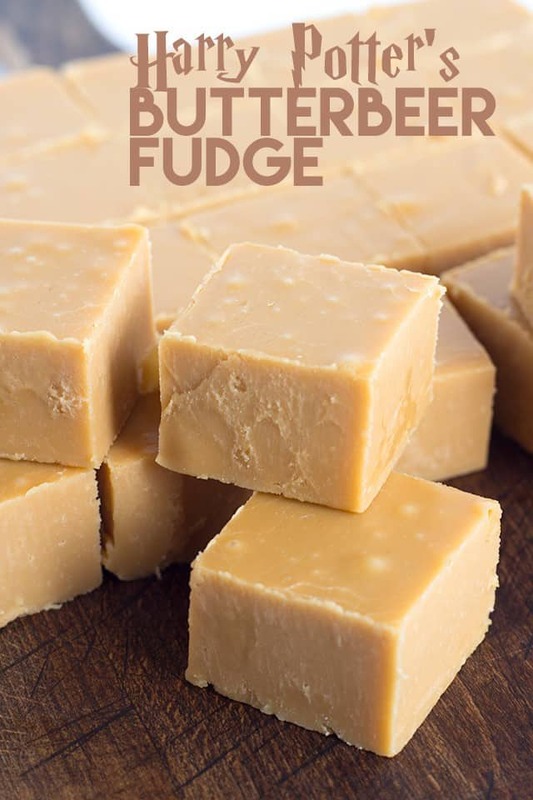 I think this delicious fudge would be a great gift too! I’m planning a Harry Potter birthday party and this will make a great favor!